From March 26th to 28th, INOVOTION will participate in the 8th World ADC (Anti-body Drug Conjugate) Conference. INOVOTION’s robust and predictive model for evaluating the efficacy and toxicity of ADC will be of key interest to the 320 drug developers and over 140 organizations attending. Because of its next-generation in vivo test, INOVOTION easily ranks ADC effects on tumor growth and metastatic invasion, providing a rapid and less expensive means to determine which ADC is the most efficient or the least toxic. 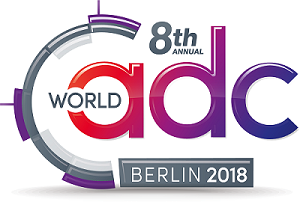 The World ADC 2018 in Berlin is a major industry focused conference that keeps ADC actors informed of the latest scientific and clinical advances and provides an ideal setting for creating new industry connections. INOVOTION wants to connect with you!